I love vintage valentines, especially the anthropomorphic ones like the sugar cubes one above. 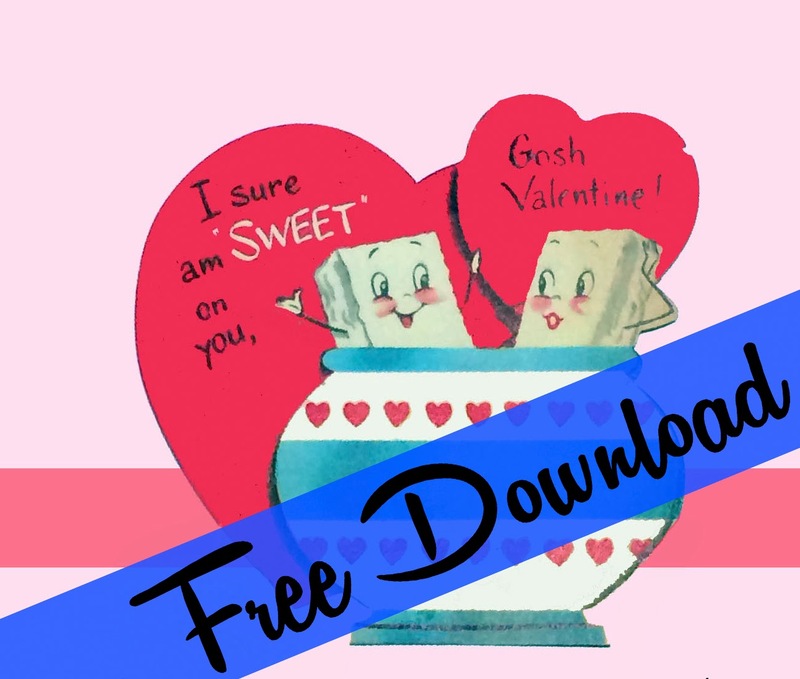 Instead of wrapping up your loved one's gift in a plain generic bag, why not download this sweet sugar cube bag I created with one of my favorite vintage valentines just for Livin' Vintage readers! The PDF is formatted to fit on a regular 8.5 x 11 sheet of paper. Print on card stock for a more sturdy bag. The valentine has been digitally restored and is an original from my personal collection. Feel free to pin this post and direct friends here. Please do not re-post, re-distribute, or sell this download in whole or part.